I am in L.O.V.E. with the Daily 5. I haven't fully implemented the Teacher Station, because I want to make sure the others stations are running as smoothly as possible. Not only is it important for me that they be able to work independently, I want them to feel good about they are doing and capable. Read to Self and Read to Someone went a lot smoother than I anticipated. And just like most Daily Bloggers have sated, They do prefer Read to Someone. I will be adding some form of response that they can work on as a team, but I haven't found one that fits my needs yet. 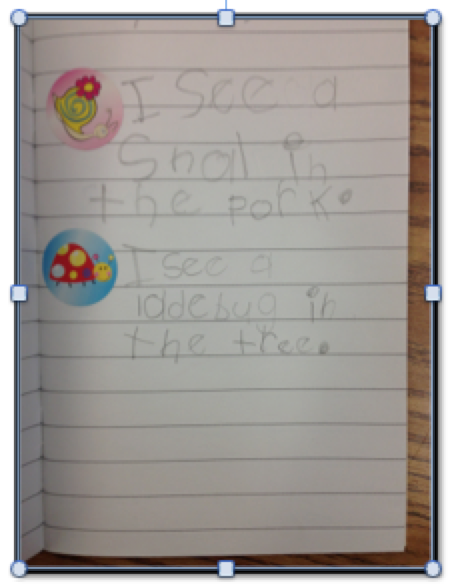 My students are loving the Word Work choices. My kids get to practice making words, including their weekly spelling words, in a variety of ways. The choices are nothing new or out of this world and they are probably something you do already. All I know is they are very hands-on and they love it. The following are some of the choices they have. 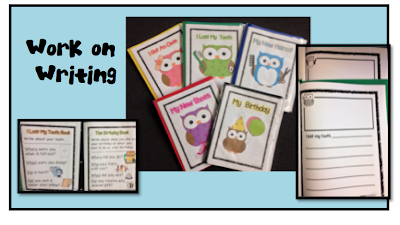 I also have some store bought file folder games I will be introducing in small groups. 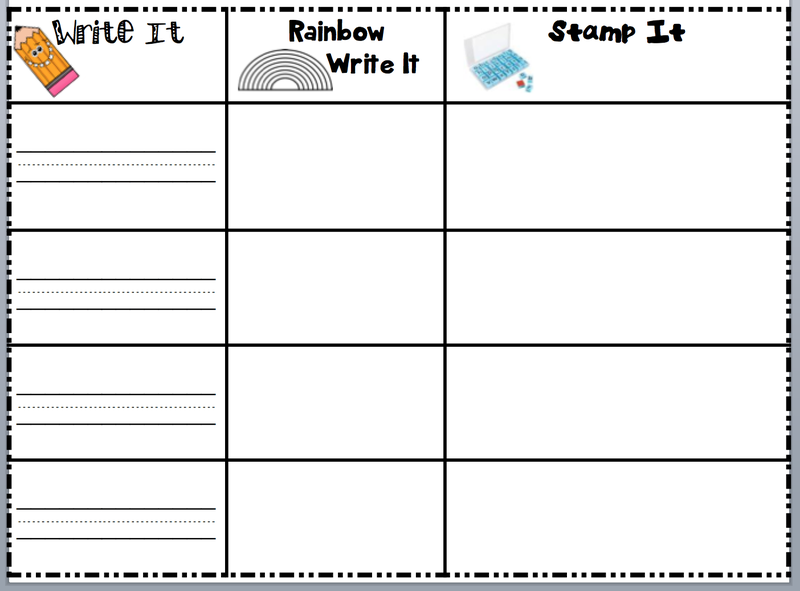 If you want a FREE copy of my Word Work form click HERE. As I have mentioned before, my kiddos need extra support this year. I feel that is why they are so attached to the Listen to Reading Station. They have the choice to listen to the traditional read along or to follow along with some old Leap Frogs that I've had for a while. I added a splitter to the Leap Frogs so that 2 kids can listen at the same time and they love that they get to interact with the story. When done they know to do the response form. 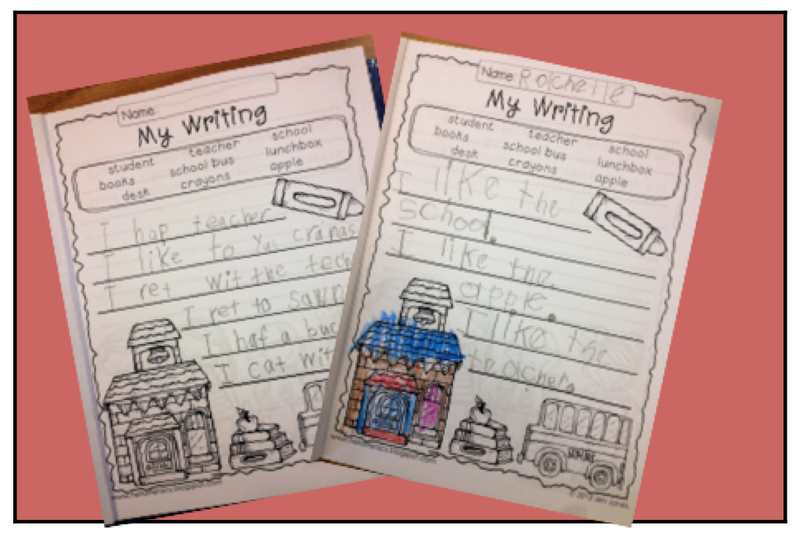 I found these simple and very useful FREE reading response forms by Lauren over at Miss Augustine's Kindergarten. 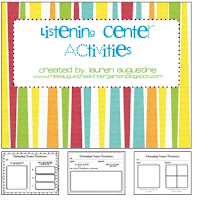 They are a great way to introduce them to responding to their listening. I will be differentiating their difficulty as they get better. At first I was somewhat confused about what exactly this entailed or what it looked like. I didn't want it to be another Writer's Workshop (I do and love WW, but I wanted this to feel and look different). I found a couple of ideas that are really working for my kiddos. The first came from Mel over at Seusstastic Classroom Inspirations. All you have to do is have a box full of stickers. The kiddos get to pick any sticker they want and as many as they want. They place the sticker on the left hand side and must make a sentence to go with sticker. I have my kiddos do their sentences in a small notebook. At this time of the year, I expect them to have spaces, punctuation, and phonetic spelling to the best of their abilities. The notebook will also help me see trends, improvement, and needs that I can address at WW. It is so simple and yes she is right; the kiddos go bonkers for those stickers. 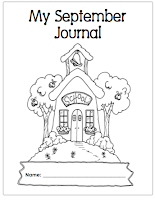 The other choice they have is a September journal with some choice topics inside they can do in any order. The cover came from Alma over at Mrs. Solis's Kinder Class. 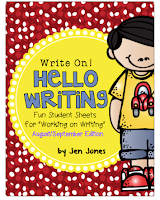 The writing prompts came from Jen Jones at Hello Literacy. One can use the words from the box, the other student is still sounding out. Finally, I have used these Class Notebooks in the past and my kiddos always love them. They have the choice of I Lost My Tooth, My Birthday, My New shoes, My New Haircut, and I Got an Owie. They get to write on any of these topics. Their friends get to respond to their writing on the back. It becomes a class book that kids want to read again and again. Every month I remove the sheets from the folder and put the work into a binder by month. At the end of the year they can't believe the amount of growth they have made, and they find it hilarious to see their first writings. I know my kiddos are going to love these! 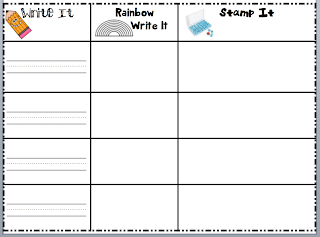 There are so many amazing ideas out there in Blog-land and TpT. What do you do to help your kiddos during Daily 5?